These A-Arms move the front hub mounting point 2 inches forward to give you much needed clearance to run large tires on a RZR. 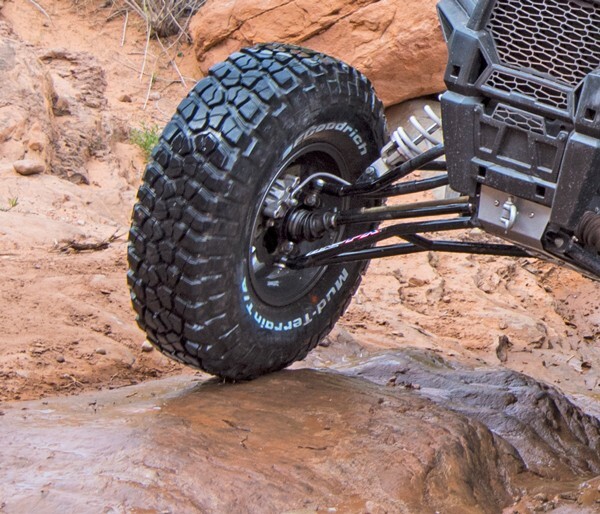 With these A-Arms installed up to a 33" tire will clear without contacting the fender-well in a turn. Their high strength design provides great durability, and as an added bonus, ground clearance is substantially increased (about 3" depending on the model). These A-Arms provide a great solution for serious trail riders where additional ground clearance and tire size is beneficial. We highly recommend an SLP High Load Clutch Kit with larger tires (see pages 5 & 6 or inquire).